Company News. What's new at Armytek. 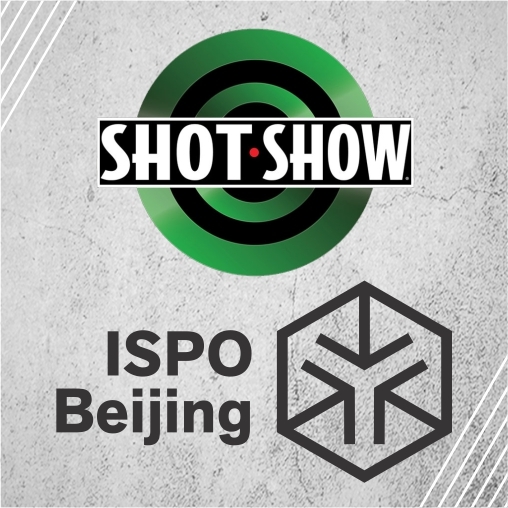 01/10/2019Armytek is going to participate on ISPO Beijing and Shot Show exhibitions! 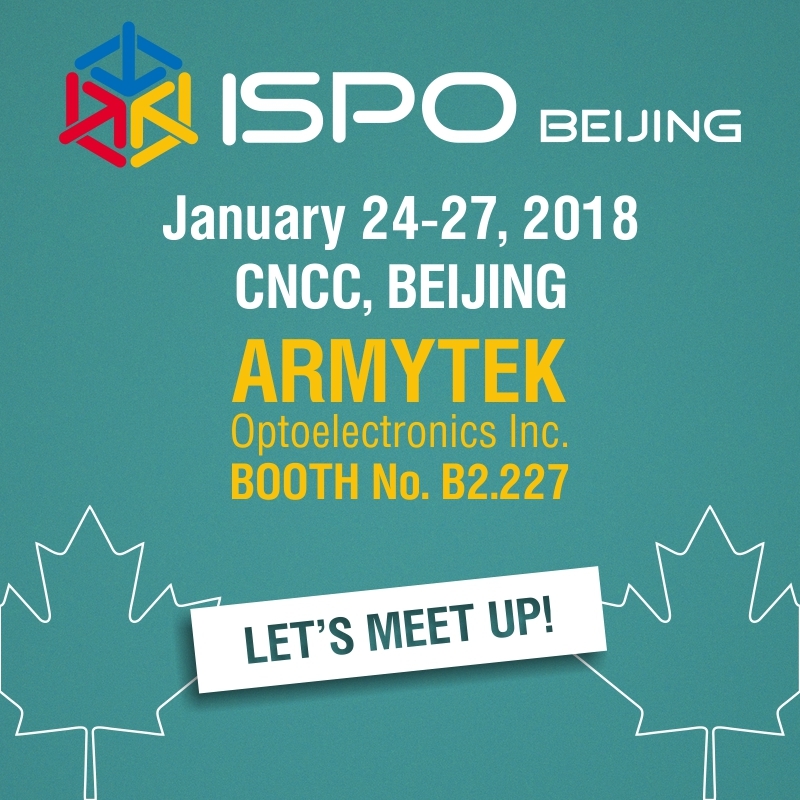 We would like to invite you to visit ISPO Beijing and Shot Show exhibitions, where Armytek will take part on January 2019. Announcement of new products 2019! 03/07/2018We are looking forward to welcoming you at our booth! 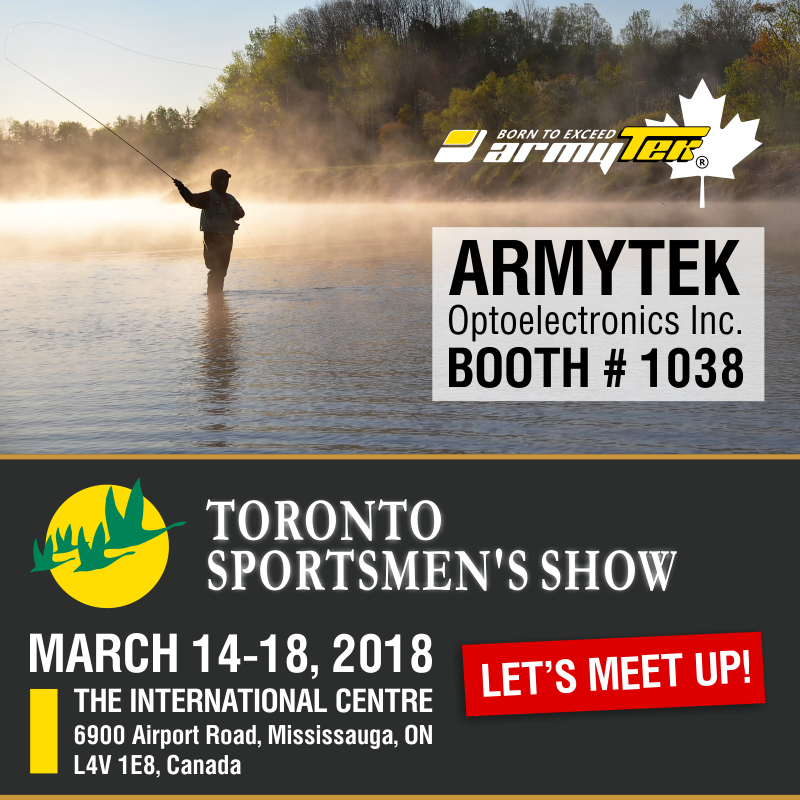 Armytek Optoelectronics Inc. invite you to visit Armytek at the Exhibition “Toronto Sportsmen’s Show”. It takes place from 14 - 18 March 2018 in the International Centre, Toronto. at the China National Convention Center. 01/11/2018Be the first who will see new Armytek products! Сome to Shot Show and see everything yourself! The event takes place at Sands Expo Center, Las Vegas, Nevada, January 23-26, 2018. 09/01/2017September, 4 is a day off in our store! Dear Clients! September, 4 is a day off in our store! Orders on the site are accepted as usual. 06/30/2017Dear Clients! July, 3 is a day off in our store! Orders on the site are accepted as usual. Dear Clients! July, 3 is a day off in our store! Orders on the site are accepted as usual. 05/30/2017Visit Armytek Booth at Asia Outdoor Trade Show 2017! We invite you to visit China's most professional outdoor trade show, Asia Outdoor Trade Show has attracted thousands of visitors every year. 03/09/2017We invite you to visit Toronto Sportsmen’s Show! We are waiting for you at the Toronto Sportsmen's Show in Armytek Booth №1038. 02/01/2017You should visit ISPO BEIJING 2017! You have a chance to become a member of special exhibition. We invite you to the most dynamic event ISPO BEIJING 2017. ISPO BEIJING is the leading multi-segment sports exhibition in Asia and takes places from February 15–18, 2017. Armytek Optoelectronics Inc. invites you to take part in must- attend event - The SHOT Show 2017. It takes place on January 17-20, 2017 in Sands Expo Center Las Vegas, Nevada. In the event of a Canada Post Service Disruption, we may not use their services. For your convenience we are going to use Fedex as alternative way of shipping. 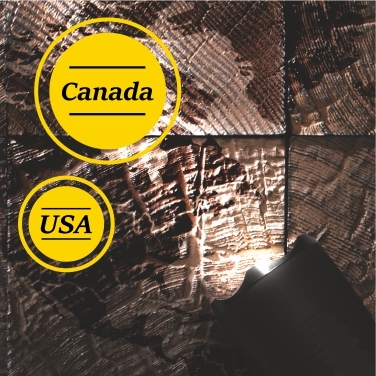 06/03/2016Armytek starts shipping products directly from Canada! We are so excited to announce that Armytek Optoelectronics Inc. has officially started shipping flashlights directly from its office in Canada to North America! We ship orders the same business day, so now it really saves your time! 06/02/2016Armytek exhibits at Asia Outdoor Trade Show in China! Armytek Optoelectronics Inc. is proud to announce that it will take part in the upcoming Asia Outdoor Trade Show 2016! 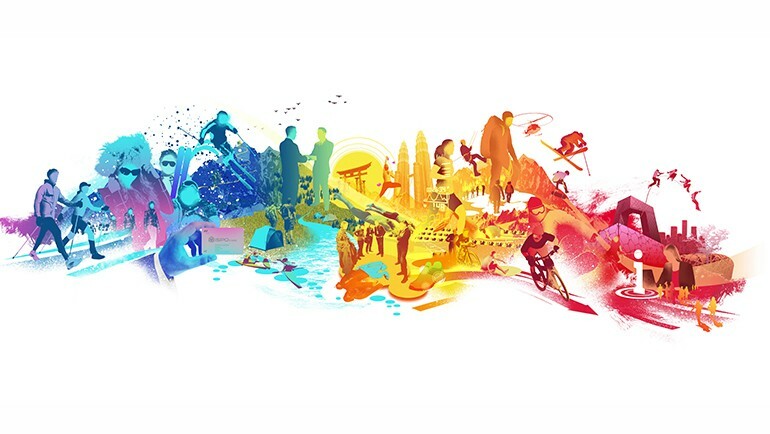 This 4 day event will be held from June, 30 to July, 3 at the Nanjing International Expo Center in Nanjing, China. 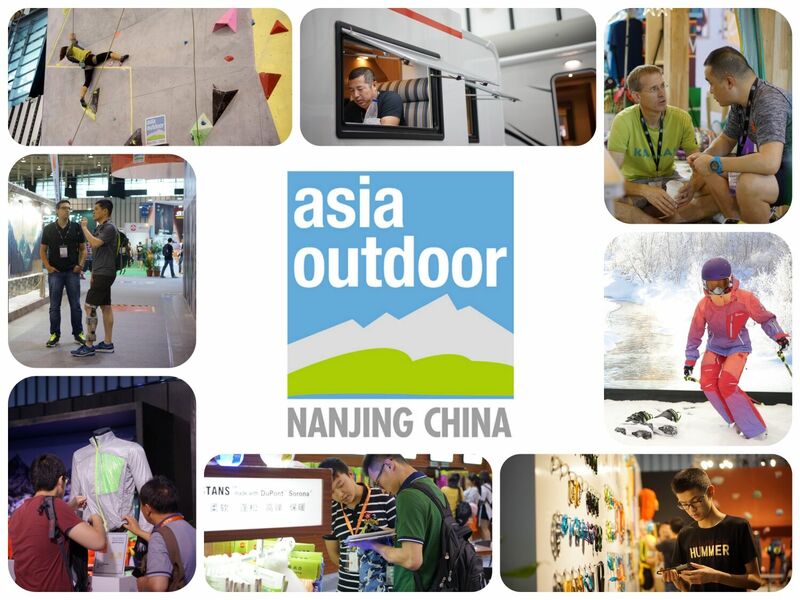 02/04/2016Experience all you need at ISPO BEIJING 2016! 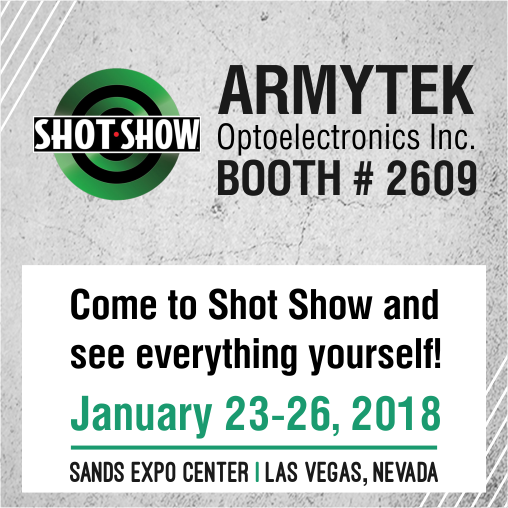 Armytek Optoelectronics Inc. is always pleased to be a member of various special-purpose shows and exhibitions where our high-class products are in good demand. We will be happy to see you at the most dynamic event ISPO BEIJING 2016 – the leading sports business platform in the Asia-Pacific region. It is held on February 24-27, 2016 in Beijing, China. You should be a part of this global showplace where you can experience top-quality materials, amazing comfort and elaborated functions of our devices. 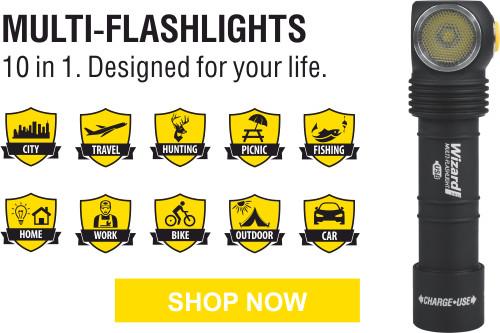 It’s the best way to know our best-known flashlights, handle them, try them out and compare with other products. 12/14/2015Armytek participates in SHOT Show’ 2016 in Las Vegas! Armytek is always aimed for perfection. We stand ready to receive considerable and worthwhile experience in exhibitions at different specialized shows, where our reliable LED flashlights are in big demand among resellers and partners. We want to use the opportunity and invite you to the largest trade show of its kind in the world – the SHOT Show’2016 where we demonstrate our unique and high-tech devices. Armytek is very proud to be the sponsor for two-week caving expedition in Đalovića Cave in Montenegro. When we were offered to become part of this event, we jumped at the opportunity to get involved and help make it an unforgettable experience and incredible adventure. Armytek Optoelectronics Inc. takes part in one of the biggest professional outdoor exhibitions in China that has captured the worldwide attention – China International Outdoor Sports Show. It will be held from 11 to 13 September, 2015 in Guangzhou, China. 06/24/2015Feel the spirit of Asia Outdoor Trade Show 2015! Asia Outdoor Trade Show is one of the greatest international professional trade shows that has been held since 2006 with enormous success. It has clearly become one of the top annual carnivals for the outdoor industry. Moreover, Asia Outdoor has been able to capture the attention of the whole world. 04/08/2015If you can help, why not? Armytek, one of the leaders in the world flashlight producer market, together with its exclusive distributor in the Ukraine, Delta Corporation, were glad to provide the support of child and youth epee fencing. We tried to do our best to make this event even more successful. The main aim that we set ourselves was to develop the children's sport, promote talented young sportsmen and help them to achieve their goals. 02/06/2015Looking for something new? IWA Outdoor Classics is for you! Armytek Optoelectronics Inc. is engaged in one of the most outstanding shows in the world - IWA OutdoorClassics. It starts on March 6-9, 2015 in Nuremberg, Germany. IWA OutdoorClassics is a top-level exhibition which displays high-end guns and outdoor devices from international suppliers. You’ll have an incredible chance to experience unmatched comfort, light materials and advanced functions. The equipment for civilian and self-protection is sure to catch your eye. 02/03/2015Armytek takes part in Toronto Sportsmen’s Show! Armytek Optoelectronics Inc. is a constant participant of various specialized shows. We’ve got considerable experience, knowledge and practical skills in exhibitions. Let us inform you about a grand Sportsmen’s Show where our high-performance products will be exhibited. This biggest outdoors show is held on February 5-8, 2015 in Toronto, Canada, USA. The show includes thoroughly arranged days such as Zoomer Radio Day, Rapala Day and Ontario Power Generation Water Safety Day. Armytek Optoelectronics Inc. invites you to take part in the most spectacular event – The SHOT Show 2015. It’s held on January 20-23, 2015 in Sands Expo Center Las Vegas, Nevada. The SHOT Show is the first-rate and the most well-known trade show. Undoubtedly, it will be a “must event” for all the professionals who are closely connected with the shooting sports, law enforcement and hunting spheres. Armytek Company, one of the leaders in the world flashlight production market, together with its exclusive distributor in the Ukraine, Delta Corporation, announced the start of social project in support of child and youth sport in the Ukraine. Armytek Optoelectronics Inc. is an honorable member of different dedicated shows. We’ve got much experience and practice in such exhibitions. We will be happy to see you at the world’s largest knife show – BLADE Show, where our top-performing products will be displayed. It is held on June 6-8, 2014 in Atlanta, Georgia, the USA. The show includes thoroughly planned events such as forging demonstrations, catching seminars and The BLADE Show World Championship Cutting Competition. Three days are hardly enough to come to more than 200 factory booths, look at more than thousands of products and visit 700 independent seller tables. Armytek Partner A2 has found its new owner! With the help of True Random Number Service we have chosen the winner of the Armytek Giveaway. Armytek Optoelectronics Inc. is a steady member of diverse special-purpose exhibitions and shows where our high-class production, particularly LED flashlights, are in great requisition. We will be pleased to see you at the world-leading show IWA Outdoor Classics - an exhibition for shooting sports, hunting guns, outdoor activities, personal security and law enforcement outfit. It is held on March 7-10, 2014 in Nuremberg, Germany. The exhibition will grant you a marvelous chance to experience high-quality materials, amazing comfort and elaborated functions of our devices. Moreover, you will get to know our best-known flashlights, also it will be possible to handle them, try them out and confront with other products. 01/22/2014Armytek stops shipping orders till February 10. Sorry for the inconvenience! As the products are at the moment shipped from our warehouse in China and now the national holidays start there, our company will not be able to ship any ordered items in the period from January 23 to February 10. All orders placed in this period will be shipped after the 10th of February. We are very sorry for the inconvenience! All other departments will be working in these time so if you have any questions or need help - feel free to contact us! 12/09/2013Armytek participates in SHOT Show’ 2014 in Las Vegas! Armytek is remarkable for considerable and worthwhile experience in exhibitions at various specific shows, where our reliable product line, namely tactical LED flashlights, are in big demand among resellers and partners. And at thу beginning of the next year we will be glad to see you at the SHOT Show’2014 where high-tech devices of our company will be demonstrated. 05/20/2013Armytek takes Part in the Blade Show'2013 in Atlanta! Armytek has a great positive experience in taking part at different specialized shows and exhibitions, where our professional and high-end flashlights meet a great interest from attendees’ and resellers’ side. And now we are pleased to invite you to the world’s largest knife and survival show where we will represent our newest specialties! This year you can visit both the Living Ready Expo and the Blade Show held in the same time and at the same place. The event takes place on May 31 - June 2, 2013 in Atlanta, Georgia, US. At the show you will be able to examine closely and test our newest Armytek Partner flashlights and rebranded Predators and Vikings, observe the truly excellent performance of our products and get your own unforgettable experience of using them! 03/25/2013Armytek at the NATURE, HUNTING, FISHING’2013 in Plovdiv, Bulgaria! The International Exhibition NATURE, HUNTING, FISHING is the meeting place for companies, institutions and specialists engaged in activities related to forestry, game and fish farming, cultivation of nature and protection of the reserves. This year our new professional products were exhibited there by our partner – Nordik Predator. The exhibition was taking place on March 20-24, 2013 in Plovdiv, Bulgaria. Armytek products as always meet a great interest from atendees’ and resellers’ side and one more time proved their excellent quality and reliability! 02/02/2013Armytek exhibits at Hunting and Fishing'2013 in Kiev, Ukraine! As a producer of high-end tactical flashlights for hunters we often take part in various specialized shows and exhibitions where we meet a lot of people and representatives of different associations and stores, interested in our products and co-operation with us. On February 27 – March 3 we are going to exhibit our products in Ukraine at the Hunting and Fishing'2013 in Kiev where our latest products will be exhibited. We will be pleased to see you there and take a chance to show you the excellent performance of our flashlights in action. We would be also grateful for your opinions and suggestions about the desirable characteristics you want to see in our further products. And of course we will provide you with all necessary information on prices and profitable terms for reselling and purchasing. 02/01/2013Armytek takes part at Hunting and Fishing in Russia'2013! We are pleased to invite you to Hunting and Fishing in Russia'2013 - the specialized exhibition where all companies producing and selling products for hunters, fishers and outdoorsmen represent their goods. We are going to represent at the exhibition our barrel-mounted, tactical and new outdoor flashlights that are widely and successfully used by hunters and fishers all over the world. Armytek already has a great productive experience in taking part in such events and our technically advanced products always draw attention of resellers and public associations. We will truly appreciate your attendance and will be glad to show our flashlights in action. We will also provide you with all necessary technical information and specifications for our products and share with you our plans and further perspectives for new flashlight series. For interested agencies and organizations we offer profitable terms of dealership, reselling and purchasing. 12/23/2012Armytek takes part at Toronto Sportsman's Show'2013! Armytek has a great positive experience in exhibiting at different specialized shows, where our professional and high-end flashlights meet a great interest from attendees’ and resellers’ side. And now we are pleased to invite you to the Toronto Sportsman's Show’2013 in Toronto, Canada on February 7-10, 2013 where our company will be represented! At the show you will be able to examine closely and test our newest and most popular products, observe the truly excellent performance of our flashlights and get your own experience of using them! 12/17/2012Armytek at Shot Show’2013 in Las Vegas! Armytek has a great positive experience in exhibiting at different specialized shows, where our tactical flashlights meet a great interest from attendees’ and resellers’ side. And now we are pleased to invite you to the Shot Show’2013 in Las Vegas on January 15-18, 2013 where our company will be represented! At the show you will be able to examine closely and test our newest and most popular products, observe the truly excellent performance of our flashlights and get your own experience of using them! 09/19/2012Armytek exhibits at Hunting and Fishing'2012 in Kiev, Ukraine! As a producer of high-end tactical flashlights we have a great experience in successful representation of our products at various shows and exhibitions where we meet a lot of people and representatives of different specialized associations and stores, interested in our products and co-operation with us. This year we will finally exhibit our products in Ukraine at the Hunting and Fishing'2012 in Kiev which will take place on October 18-21, 2012. 08/12/2012Meet us at the GPEC in Leipzig! Armytek succeeded in production of technically advanced tactical flashlights for Military and Special Forces and we often take part in specially-oriented exhibitions and shows where our products find their final users and fans among professionals. We are pleased to invite you to GPEC '2012 which is General Police Equipment Exhibition & Conference. We are going to represent at the exhibition our latest models of barrel-mounted and tactical flashlights that are widely and successfully used in Special Forces and Police agencies all over the world. We will truly appreciate your attendance and will be glad to show our flashlights in action. 07/29/2012Armytek takes part at Hunting and Fishing in Russia'2012! We are pleased to invite you to Hunting and Fishing in Russia'2012 exhibition where all companies producing and selling products for hunters, fishers and outdoorsmen represent their goods. We are going to represent at the exhibition our latest models of barrel-mounted and tactical flashlights that are widely and successfully used by hunters and fishers all over the world. Armytek already has a great productive experience in taking part in such events and our technically advanced products always draw attention of resellers and public associations. We will truly appreciate your attendance and will be glad to show our flashlights in action. We will also provide you with all necessary technical information and specifications for our products and share with you our plans and further perspectives for new flashlight series. For interested agencies and organizations we offer profitable terms of dealership, reselling and purchasing. 06/22/2012We at 4th International workshop for Special Forces Baltic Shooters! International workshop for Special Forces Baltic Shooter is a specialized weapon and accessories workshop in Gustow, Germany where high-end products for Special Forces are represented. As a producer of high-end tactical flashlights we have a great experience in successful exhibition of our products at different shows, exhibitions and workshops like this. 02/13/2012Visit us at Toronto Sportsman's Show'2012! Armytek has a great positive experience in exhibiting at different specialized shows, where our professional and high-end flashlights meet a great interest from attendees’ and resellers’ side. 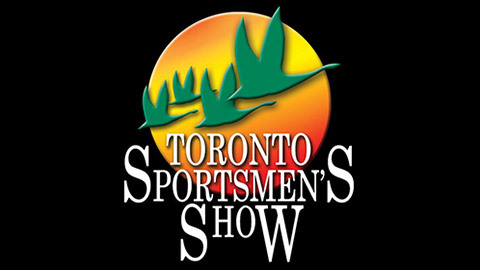 And now we are pleased to invite you to the Toronto Sportsman's Show’2012 in Toronto, Canada on March 14-18, 2012 where our company will be represented! At the show you will be able to examine closely and test our newest and most popular products, observe the truly excellent performance of our flashlights and get your own experience of using them! 02/08/2012Armytek products at IWA 2012 & Outdoor Classics! We are pleased to invite you to IWA 2012 & Outdoor Classics, that is the leading international exhibition for hunting guns, shooting sports, outdoor equipment and equipment for official agencies. This year we are going to represent at the exhibition our latest models of flashlights that are widely and successfully used in a variety of outdoor activities and professional spheres. We will truly appreciate your attendance and will be glad to show our products in action. We will also provide you with all necessary technical information and specifications for our products and share with you our plans and further perspectives for new flashlight series. For interested agencies and sellers we offer profitable terms of dealership, reselling and purchasing. 02/07/2012Armytek welcomes all at EnforceTac 2012! EnforceTac is a professionally-oriented products exhibition in Nuremberg, Germany where security products for official agencies are represented. As a producer of high-end tactical flashlights we have a great experience in successful representation of our products at such exhibitions. This year we will exhibit our products at the EnforceTac 2012 in Nuremberg, Germany which will take place on March 8-9, 2012. We will be pleased to see you there and take a chance to show you the excellent performance of our flashlights in action. We would be also grateful for your opinions and suggestions about the desirable characteristics you want to see in our further products. And of course we will provide you with all necessary information on prices and profitable terms for resellingand purchasing. 12/15/2011Armytek at Shot Show'2012 in Las Vegas! Armytek has a great positive experience in exhibiting at different specialized shows, where our tactical flashlights meet a great interest from attendees’ and resellers’ side. And now we are pleased to invite you to the Shot Show in Las Vegas on January 17-20, 2012 where our company will be represented! At the show you will be able to examine closely and test our newest and most popular products, observe the truly excellent performance of our flashlights and get your own experience of using them!